In the fast-paced world of business today, more and more women are taking the lead in some of the world’s biggest business power houses. Take Sheryl Sandberg of Facebook, Meg Whitman of Hewlett-Packard, or Marissa Mayer of Yahoo. But, just what is it about women in the 21st century that is enabling them to compete in a traditionally male-dominated sphere? We take a look at some of the skills, attributes and educational qualifications that are helping women progress to the top of their field. Whilst academic experience and intellect is clearly important, many women find that their ability to handle stressful and challenging situations is aided greatly by natural skills in diplomacy, negotiation and social interaction. This is especially true of modern management roles, which are becoming increasingly more hands-on. 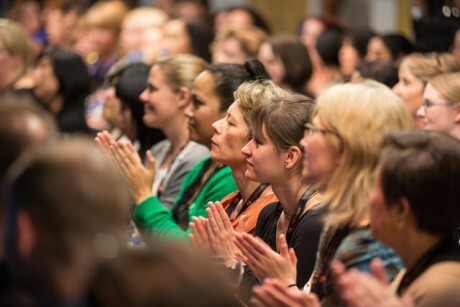 In the fast-paced arenas of PR and marketing, for example, where many successes are the results of positive relationships with the media and a deeper emotional understanding of clients’ needs, it seems women are becoming more and more confident in their abilities to use their instincts to suss out and manage new opportunities. In any field of business, continued professional development is key. In the last ten years, studies have shown a marked increase in the number of women completing further qualifications across the business sector. This phenomenon may have been aided by the fact that many high quality training programs, from Masters of Business Administration (MBAs) to specialist qualifications such as ACCA Accounting courses, are now available online. Women who traditionally have been held back due to financial or family commitments now have access to more flexible programs of learning, with times and modes of learning that suit them. There is a growing emphasis in modern business on collaboration – particularly when it comes to innovative tech companies and start-ups – in which we see women such as Sandberg, Whitman and Mayer excelling. Whilst businesses once relied on the competitive nature of their staff, with people working autonomously for their own gain in positions such as sales or finance, now we see much more emphasis on how well people can work with other individuals. Women, who are considered to be inherently collaborative, are well-equipped to identify beneficial partnerships with other organisations, as well as being able to form strong working relationships with colleagues. It has been argued that women lag behind men when it comes to financial acumen, but strong female role models from the likes of Christine Lagarde, the Managing Director of the International Monetary Fund, and Indra Nooyi, the CEO of PepsiCo, to celebrities like Beyoncé and Oprah Winfrey are living proof that women not only have financial acumen, but the ability to manage and create wealth. This can be measured in smaller ways too; not all women have been responsible for managing household budgets, but those that have are at an advantage if they choose to start up their own business and have to manage the books. Whether it’s from juggling the intricacies of a family budget or running an international corporation, there are many women who have demonstrated their ability to handle the finances with finesse. Finally, we have all heard the maxim ‘a healthy workforce is a happy workforce’, but numerous studies have demonstrated that staff who have achieved an optimum work-life balance are not only more content, but can be more productive too. Women with outside commitments such as a family, hobbies or other social interests often find that their ability to plan, prioritize and juggle workloads is more astute. And, though once-upon-a-time having a baby represented the end of a woman’s career, the trend has shifted so that more women are re-entering the workplace into full-time and part-time positions, with a more balanced, pro-active attitude to both work and their personal life. Though many men demonstrate great leadership in business, it is exceptional how far women have come in the last 50 years. With each passing year, women in the workplace are catching up with their male counterparts by grabbing opportunities made available to them with both hands. With talent running high across the gender divide, the next 50 years could be very interesting indeed. Image by Ignite New Zealand used under the Creative Commons license.